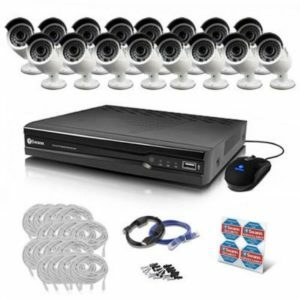 Here is a great kit which is perfect for home or small business. 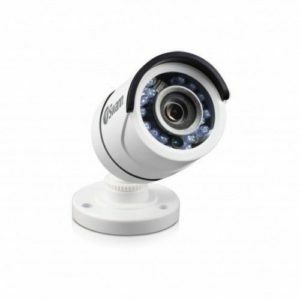 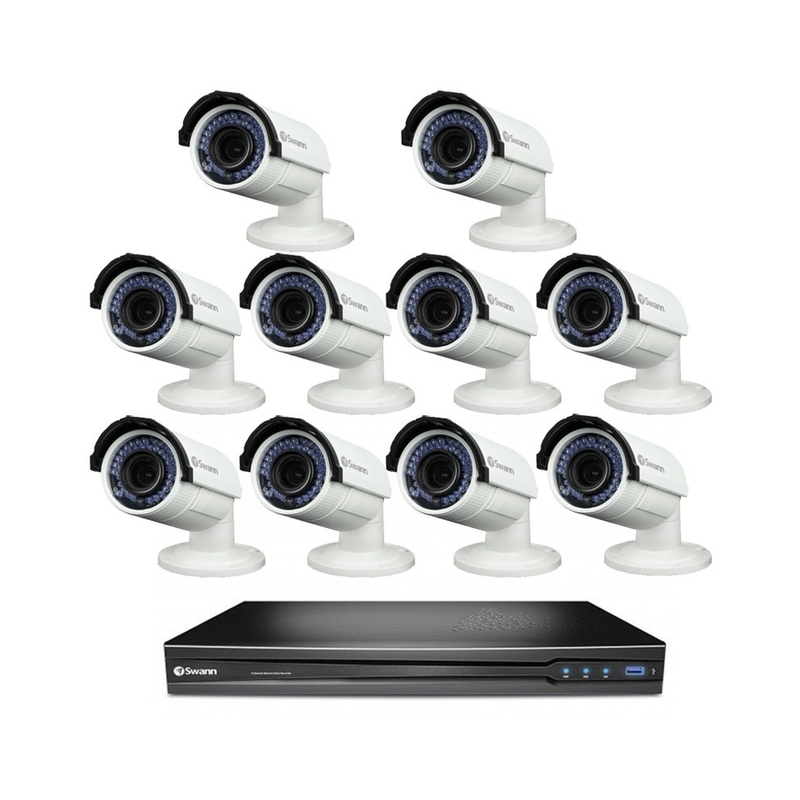 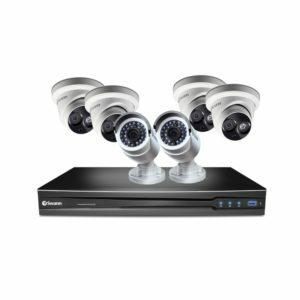 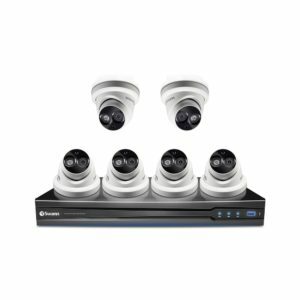 This CCTV Security Camera kit consists of a 16 Channel Recorder with a 4TB Hard Drive, 10x NHD-830 Bullet cameras 4-megapixel high definition indoor or outdoor security cameras. 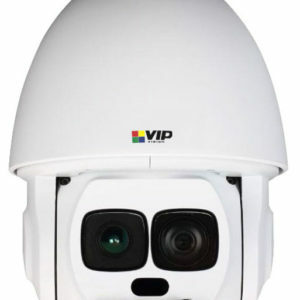 The cameras are capable of up to 30 metres night vision and the 3MP image resolution ensures you get clear usable footage of any incidents that might occur. 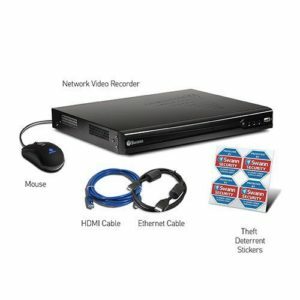 The Swann 167095 series NVR includes a 4TB HDD to store your recorded footage and can be connected to your existing TV screen or computer monitor using the VGA and HDMI outputs to watch live or review recorded footage. 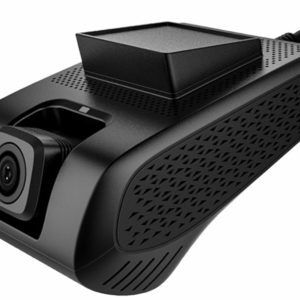 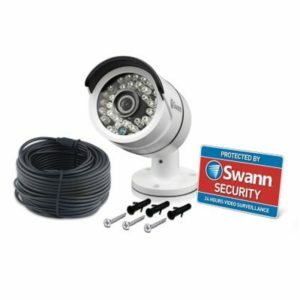 This NVR can also be connected to your internet connection and can be viewed from anywhere in the world (with a Wifi or 3G/4G connection) using Swann’s free SwannView Link app. 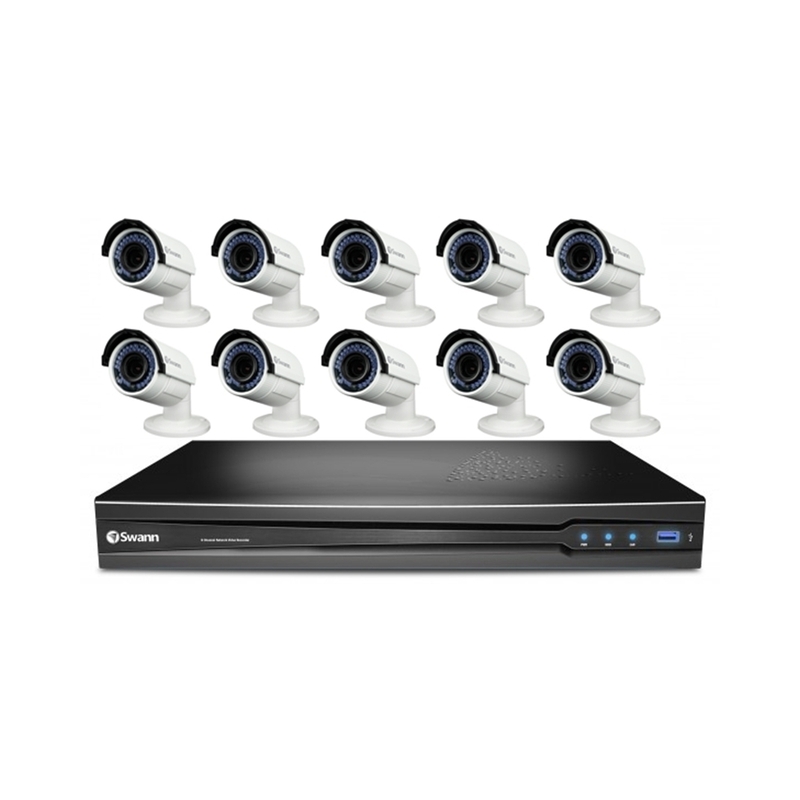 Swann’s network video recording security system with beyond 1080p high definition live viewing & playback in real-time (up to 30 fps per channel) Professional bullet surveillance cameras give you the peace of mind from being able to see the detail you need including license plates, faces, clothing colors & more, all in 3 Megapixels These NHD-830 cameras have a manual varifocal lens which can be altered from 36°-107° angle of view which enables you to get the exactly right angle of view wherever you are installing the camera. These cameras can only be used in combination with Swann’s Full HD Network Video Recorders including 7090, 7095 or 7200 Series NVR for cutting-edge IP surveillance in full HD Super high definition cameras able to generate amazing 3 Megapixels (2048 x 1536 pixels) video images, equivalent to 1200TVL State-of-the-art digital imaging technology for 9x the picture sharpness of traditional security systems including analog D1 Save time & have peace of mind by easily locating incident video, then transfer to external storage via USB or network Security in the palm of your hand with live viewing on your Smartphone or tablet including iOS (iPhone, iPad) & Android devices using the free ‘SwannView Plus’ app View live in HD on your HDTV via HDMI or VGA connection to your LCD screen Professional surveillance system gives you peace of mind by being able to see the detail you need from longer distances including license plates, faces, clothing colors & more, all in super HD.